Featuring a Brown Dual Colour Overlapped Cowl Kurta Set. 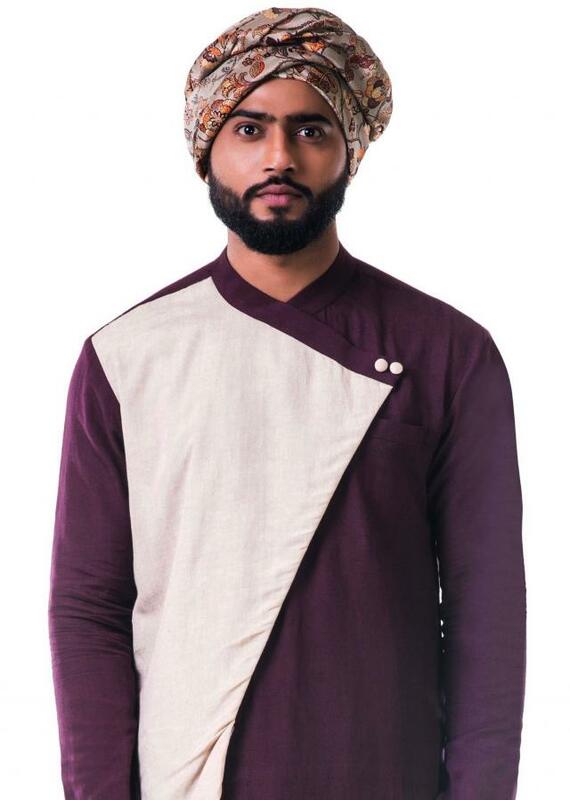 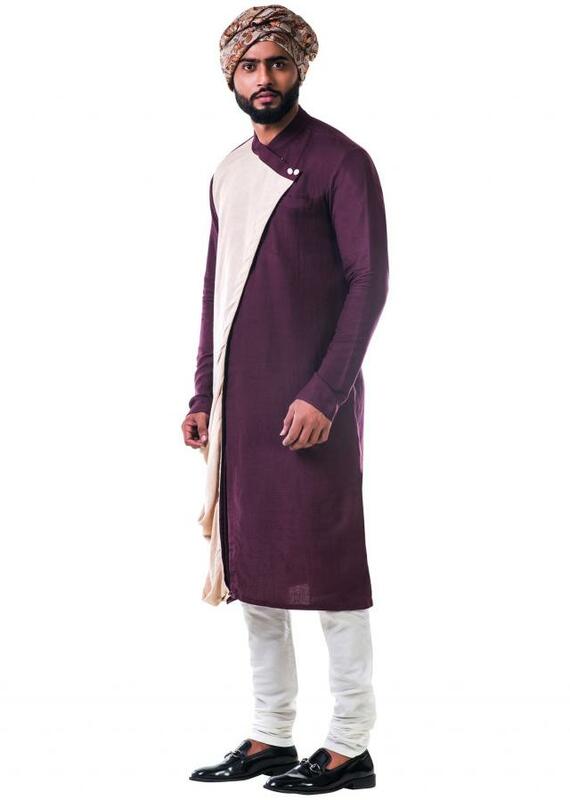 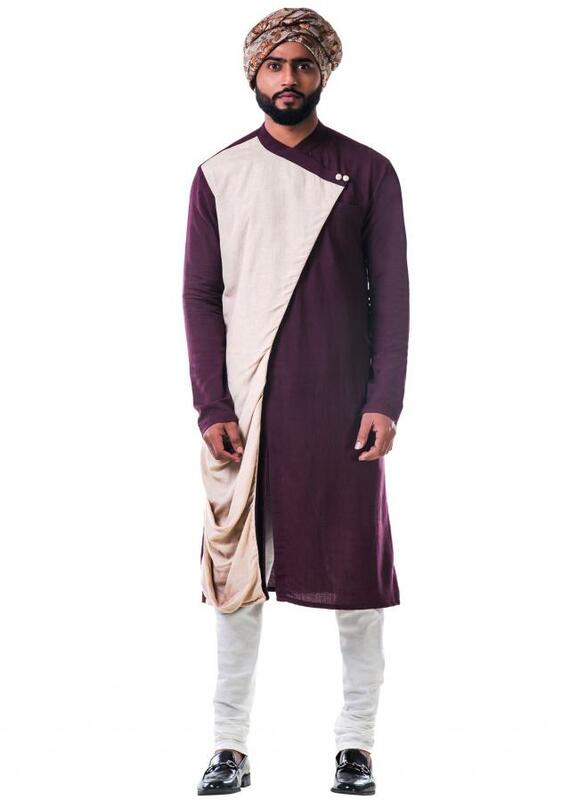 The maroon base of the the kurta has a beige overlapping with side buttons and a pocket. 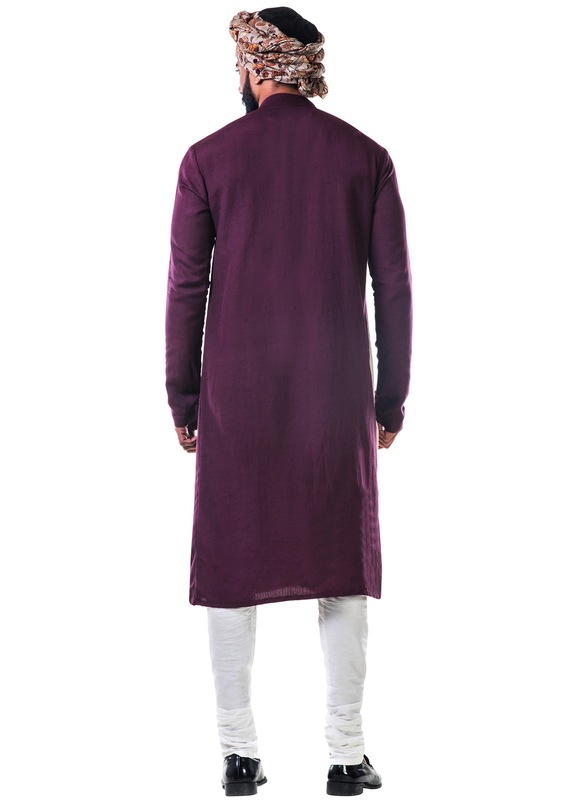 FABRIC SPECIFICATION: The kurta is made up of khadi fabric and the churidar is made up of cotton silk.